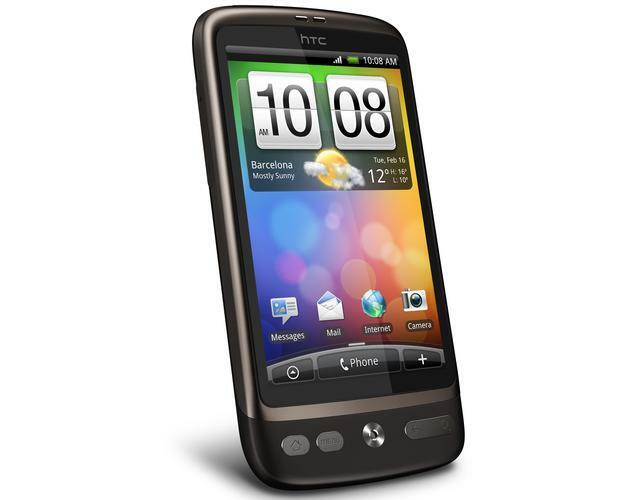 HTC's Desire is the first Android phone to be released on the Telstra network in Australia. The iPhone 4 has finally hit our shores, and the telcos will no doubt struggle to fill their back orders. So why not go for a phone that's currently in stock and probably has more features than the iPhone 4? Here's a list of the best free smartphones that are currently available for $0 upfront on 24-month plans from Telstra, Optus, Vodafone, and 3. Telstra: You can get the HTC Desire for $0 upfront on Telstra's $49 cap plan over 24 months. The cap includes $400 of standard calls and SMS/MMS to any Australian network, as well as 500MB of monthly data if you sign up before 1 September, 2010 (Usually 200MB). Minimum cost of $1176 plus usage. Vodafone: HTC's Legend smartphone can be bought for $0 upfront on Vodafone's $49 cap over 24 months (minimum cost $1176). The plan includes $450 worth of calls and SMS/MMS, 1GB of data for the first 12 months of the contract, and 500MB of data for the second 12 months. Vodafone also offers $50 of additional credit if purchased online, and all Vodafone plans include unlimited free Vodafone to Vodafone and Vodafone to 3 calls. Optus: The Samsung Galaxy S is one of the hottest smartphones currently on the market. It is available for $0 upfront on Optus' $49 extreme cap plan over 24 months, and includes $450 worth of calls and SMS/MMS and 1GB of data per month. The plan also offers unlimited access to Facebook, Twitter, MySpace, eBay, LinkedIn and foursquare. Total minimum cost $1078. Vodafone: Free over 24 months on Vodafone's $49 cap, which includes $450 worth of calls and text and 500MB of data. All Vodafone plans include unlimited free Vodafone to Vodafone and Vodafone to 3 calls. Optus: Free over 24 months on Optus' $49 cap, which includes $450 worth of calls and text and 1GB of data. Virgin: Free over 24 months on Virgin's $49 smart cap, which includes unlimited text messaging to any Australian mobile number, unlimited Virgin to Virgin calls, $270 worth of calls to any network and 2GB of data. 3: Free over 24 months on 3's $49 cap. It provides $450 worth of calls, text and MMS, 500MB of data and unlimited free 3 to 3 and 3 to Vodafone calls. Telstra: Free on Telstra's $79 cap plan over 24 months. Monthly data allowance of 500MB and $750 worth of standard calls and value allowance. Minimum cost of plan over 24 months is $1896. Vodafone: Vodafone offers the Sony Ericsson XPERIA X10 for $0 upfront on its $79 cap, which includes $800 worth of calls and text, plus 1GB of data per month. Total minimum cost is $1896 and Vodafone provides $50 of additional credit if purchased online. Vodafone: The Google Nexus One is available while stocks last exclusively through Vodafone. It is $0 upfront on Vodafone's $79 cap, providing $800 worth of calls and text and 1GB of data for the first 12 months (500 MB for the second 12 months). Vodafone also provides $50 worth of free credit if purchased online. Telstra: LG's Optimus is currently exclusive to Telstra and is free over 24 months on Telstra's $49 cap plan. The plan includes $400 worth of calls and text and 200MB of data. What's your favourite smartphone? Let us know in the comments below!